One of the most common email messages I get is from people who are planning trips to Japan. 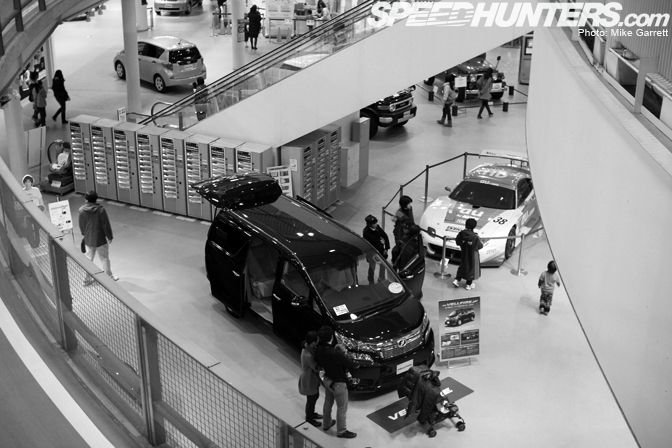 They always ask me for me tips on car related things to see while they are in Tokyo. 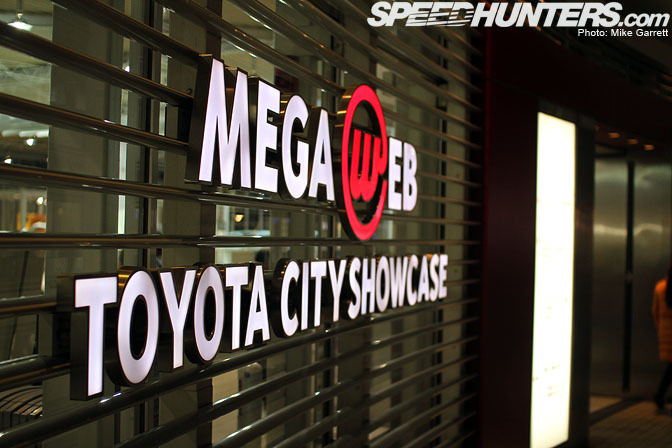 Now I'm far from a travel expert, but without hesitation I always suggest a visit to Toyota's Mega Web showroom and museum near Odaiba. There plenty of reasons why I suggest it. Not only is it easily accessible thanks to Tokyo's amazing public transportation system, it's also completely free to visit. 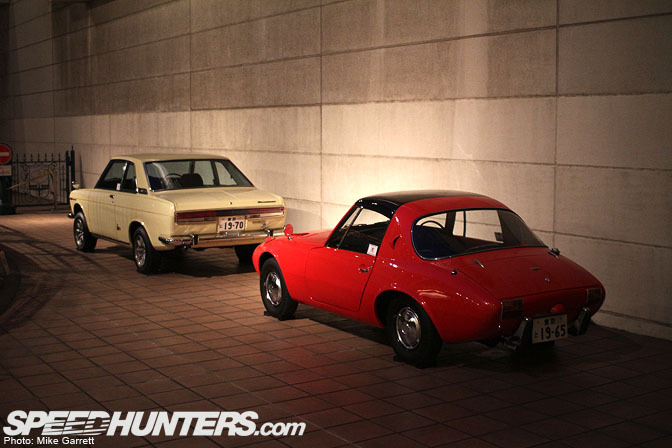 …or Toyota's newest models in the enormous Mega Web showroom. 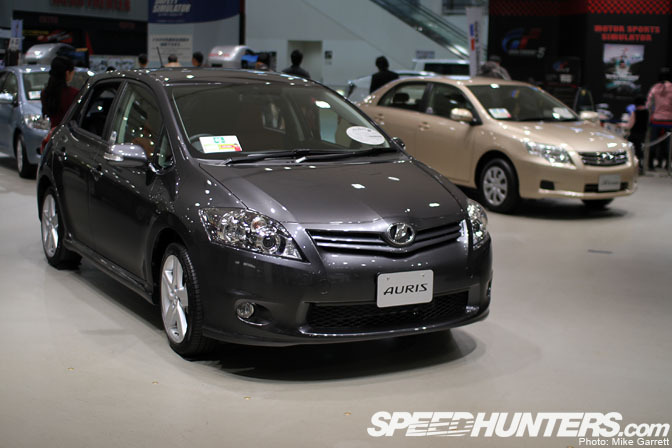 It's a great way to climb in and take a whiff of that new car smell from all of Toyota's JDM models. 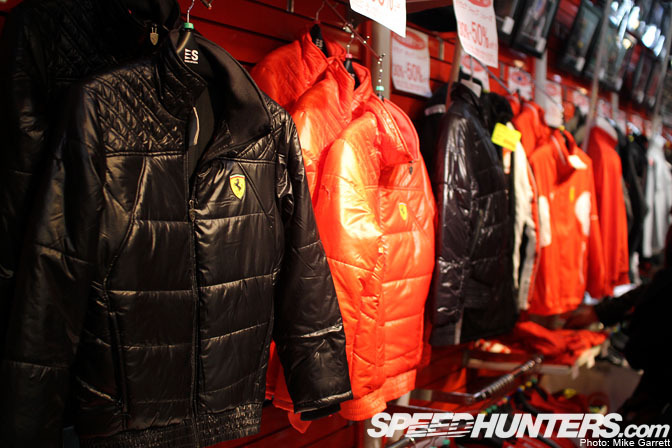 You won't find any pushy salesmen of course, just the friendly and polite Japanese staff. 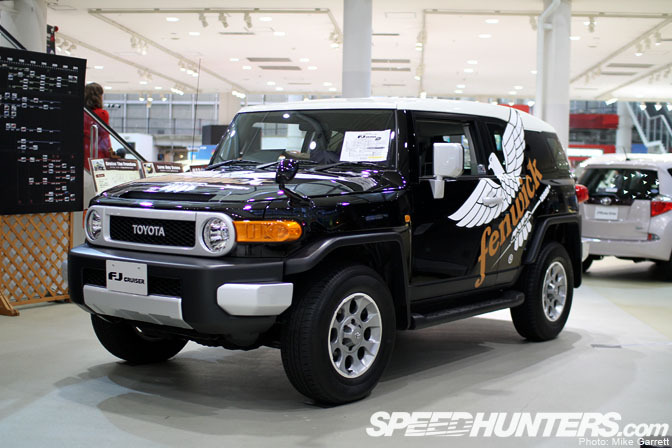 There are plenty of FJ Cruisers in Japan that have been imported from the US, but recently Toyota has decided to officially add the retro SUV to its Japanese lineup. 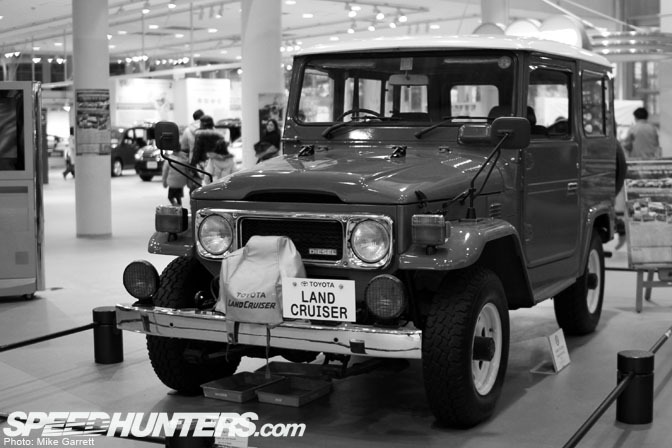 There was also a fully restored version of the original FJ40 Land Cruiser on display to compliment the modern version. 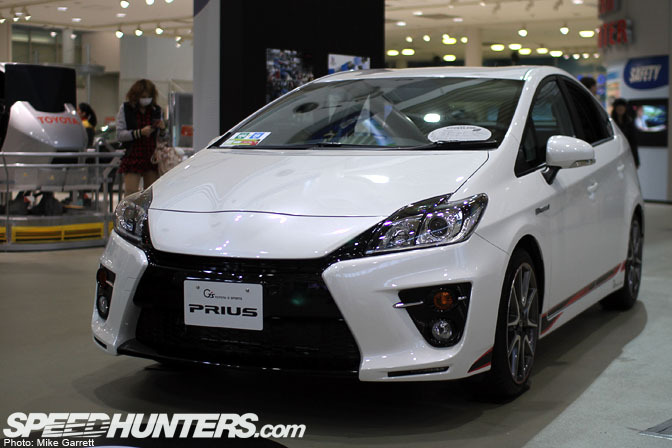 …as well as the G's Prius. I was hoping to play around with the new 86 as well, but it wasn't being shown while I was there. Wouldn't be surprised if they have one now though. Also spread around Mega Web were a few classic Corona models borrowed from the History Garage. Here's the ST10 model from 1957. 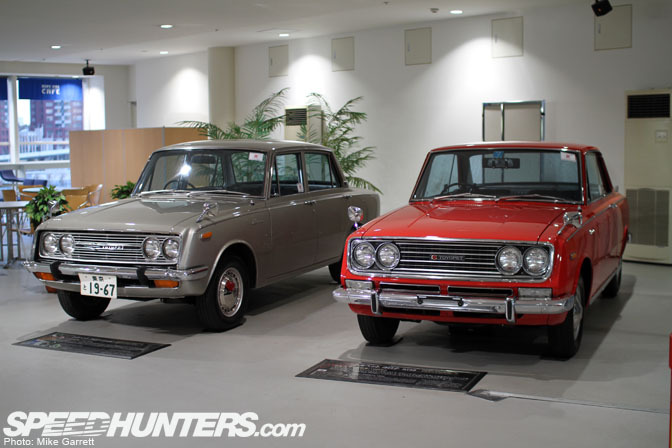 Along with two more 1960s Corona models on display upstairs. Admission to Mega Web may be free, but there are still ways to spend money. 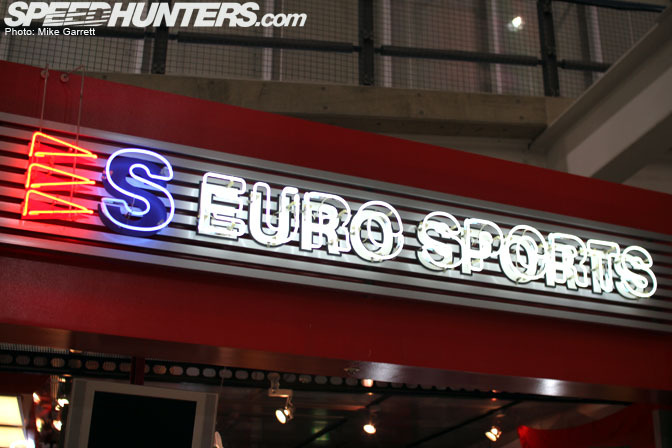 Like buying racing goods at the Euro Sports shop. 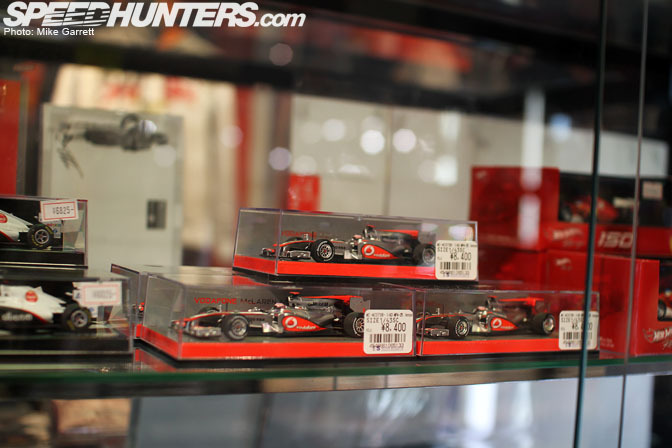 …or Formula 1 diecast replicas. 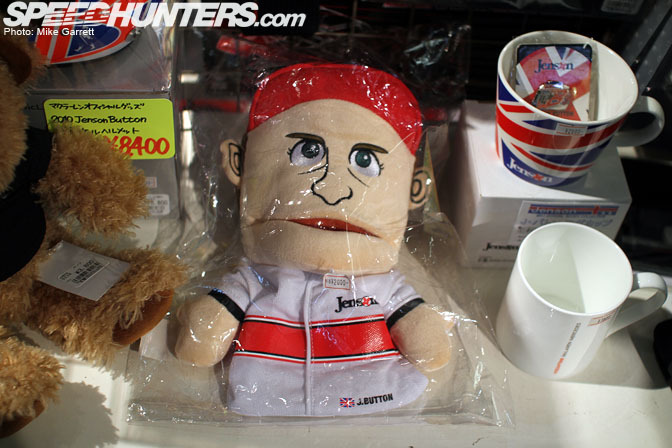 Hunting for a Jenson Button hand puppet? You've come to the right place. 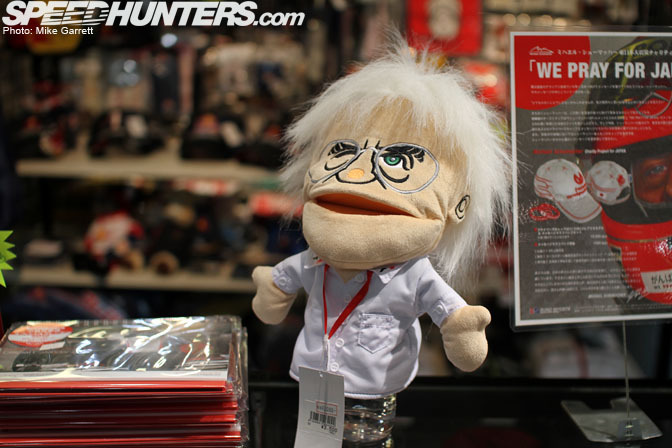 Oh, hey Bernie. 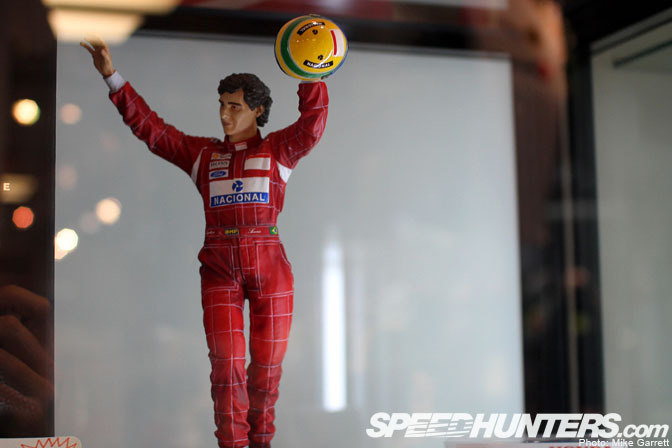 Who else remembers these from last year's Japanese Grand Prix? 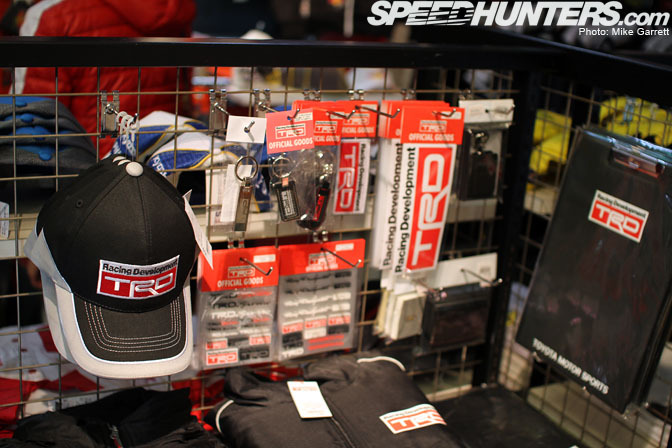 TRD goods. 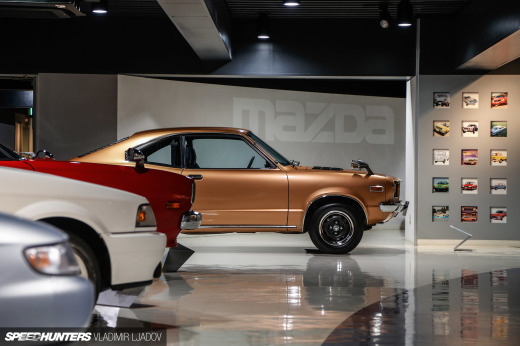 Let's not forget this is a Toyota showroom. 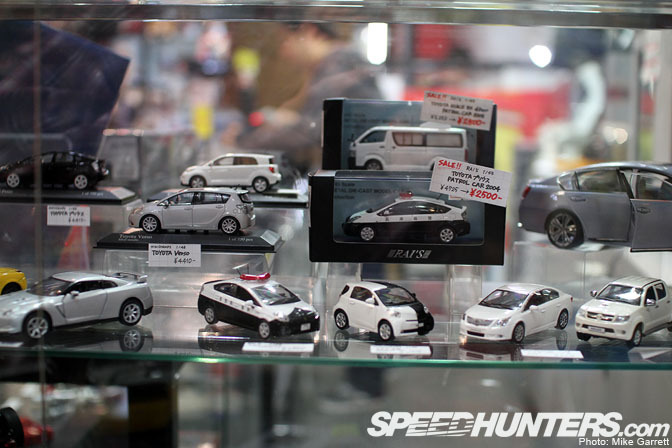 Who wouldn't want a diecast replica of a Prius patrol car? 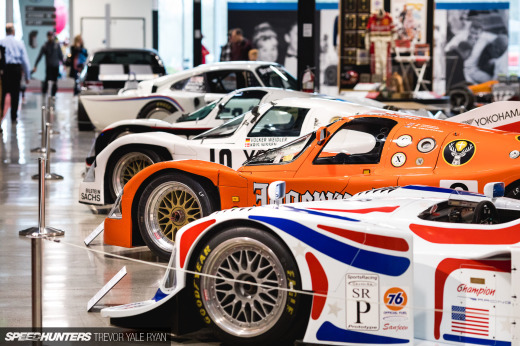 After browsing the showroom for a bit, I walked over to the real enthusiast's destination – the History Garage. It's actually located in the shopping mall nearby, so if you ever visit be sure you don't miss it. 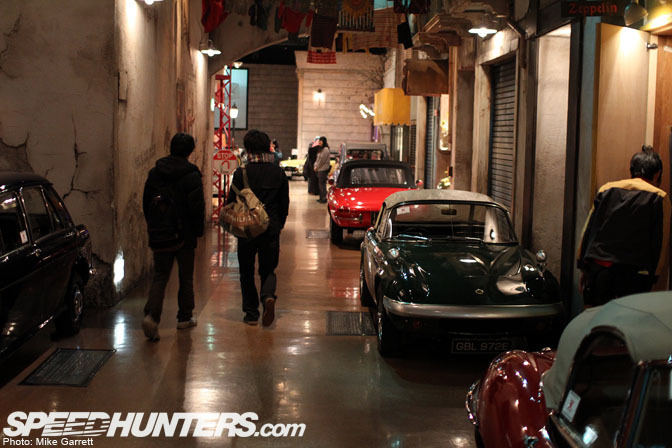 I know we've shown the History Garage a couple times before, but it's really a great place to get your classic car fix. 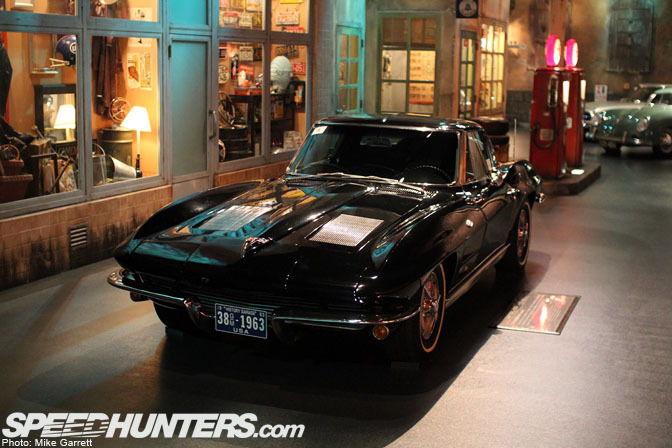 …as well as many other classics from around the world. 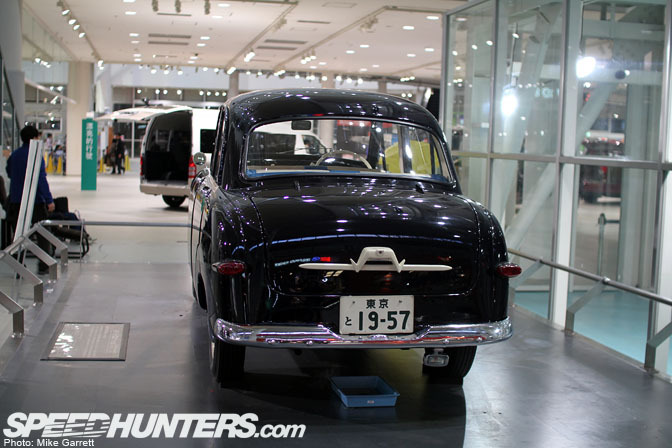 Yes, there are even cars from Toyota's Japanese competitors. 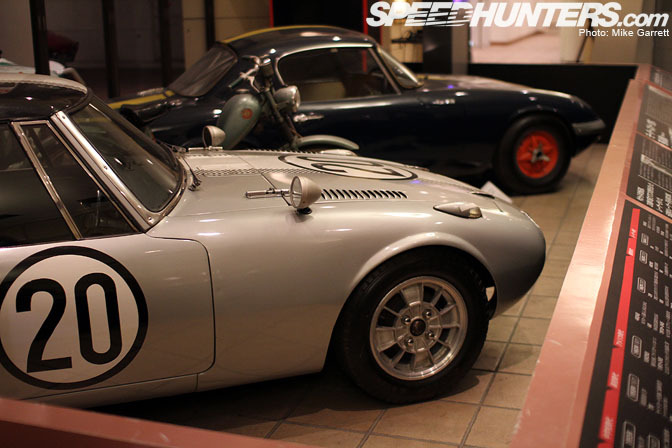 I can't really think of any other factory-supported museums that include cars from direct competitors. 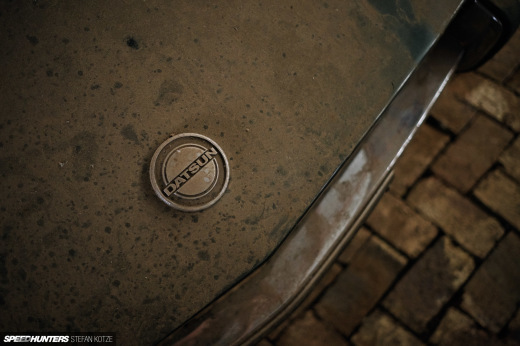 To me this is very respectable, as it shows a deep appreciation of the automobile itself. 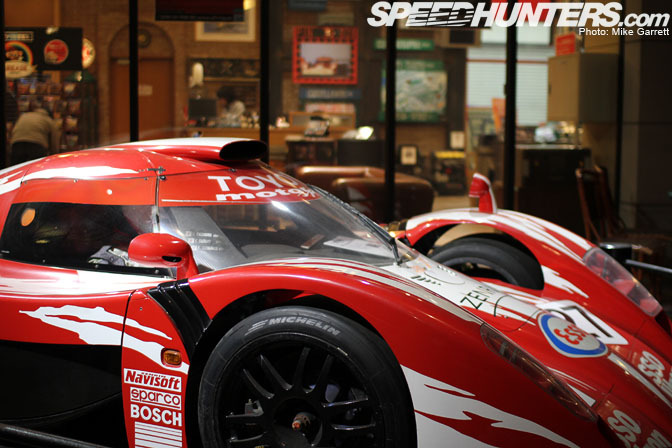 The opportunity to look at the Toyota GT-One up close is reason enough to make the visit. 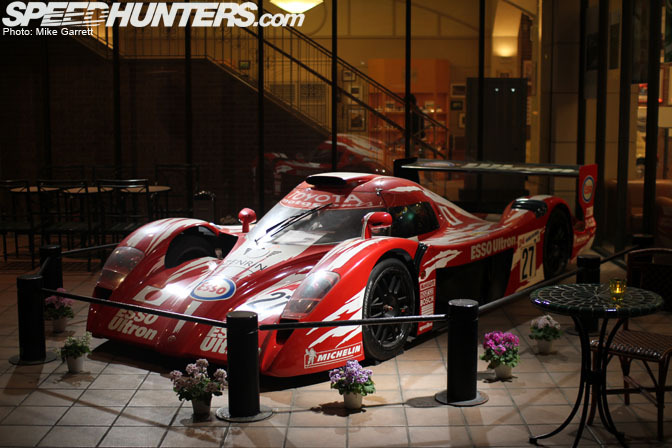 The fact that Toyota's returning to Le Mans in 2012 makes seeing this car all that more special. Fully restored 510 Bluebird SSS. On occasion, the public can even get rides in these cars on Mega Web's test drive course. Very cool. 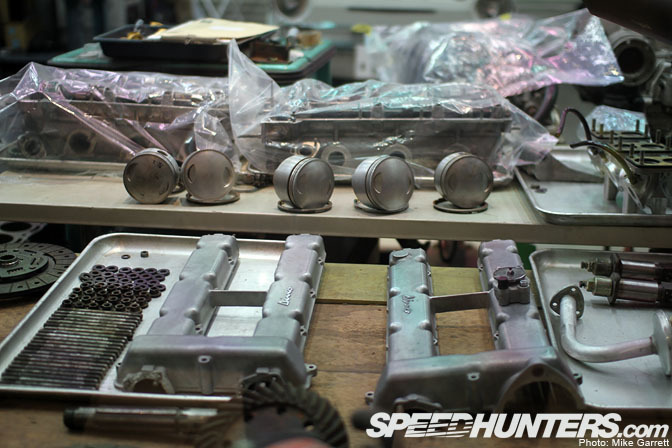 One of the coolest parts of the HIstory Garage is the spot where you can look inside the actual restoration workshop. 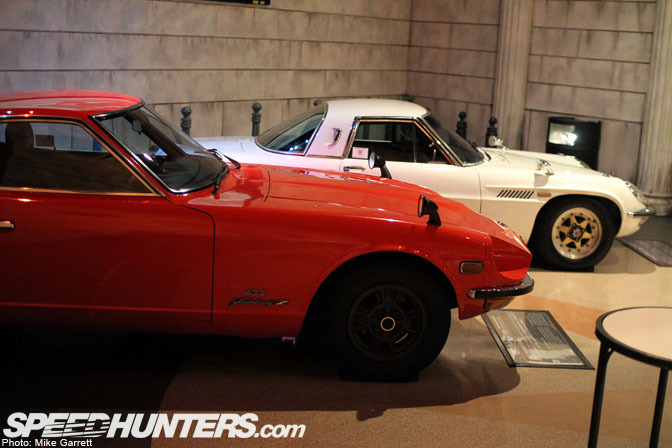 At this moment we can see a Mazda Carol and a Ferrari Dino undergoing some work. I imagine being a mechanic here is not easy, considering the variety of machinery you have to work on. Great fun though I'm sure. 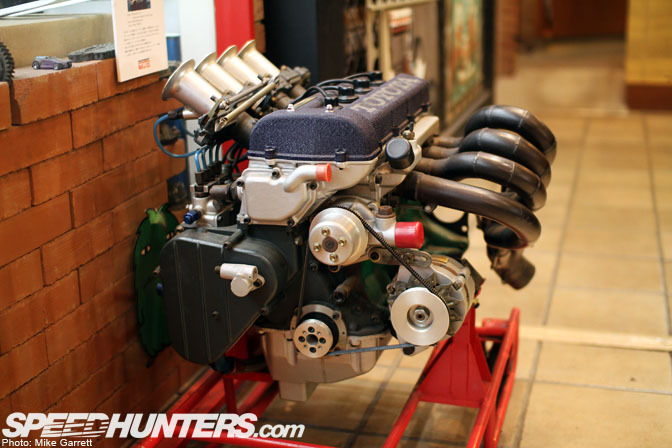 I've seen this Toyota 3K-R race motor every time I've visited the History Garage. It never gets old. 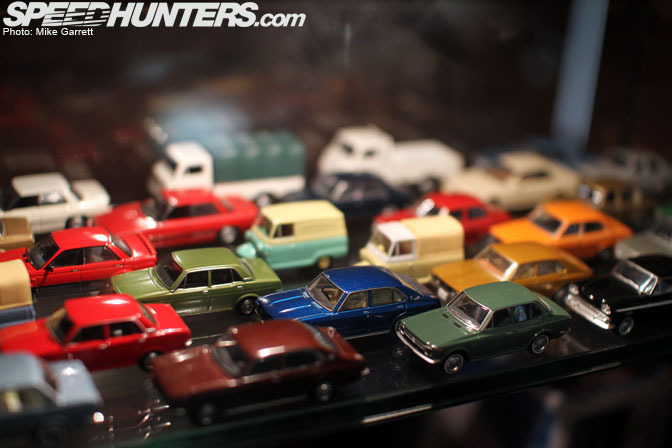 One of the showrooms at the History Garage has constantly changing displays. 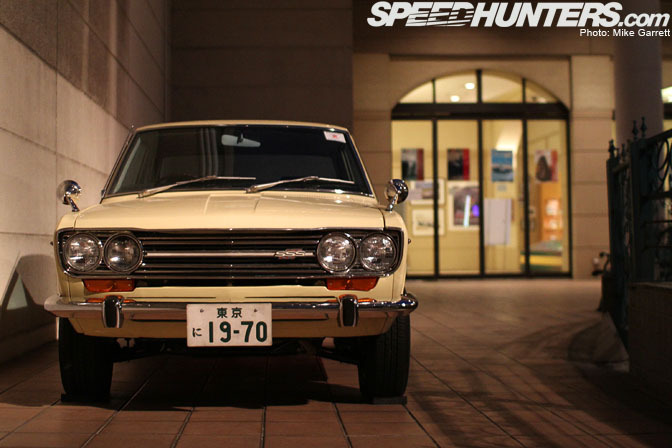 At this time it was packed full of Toyotas. 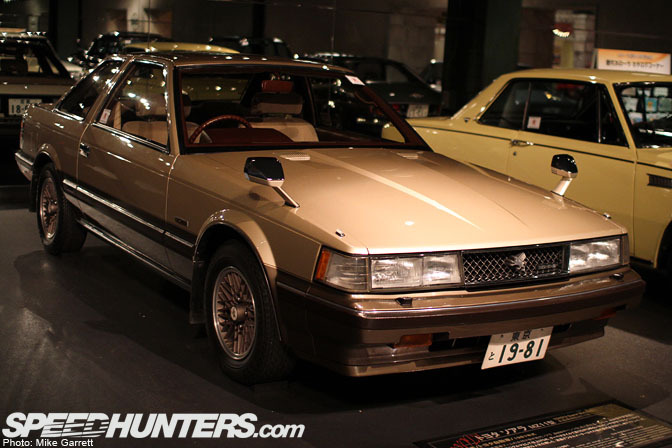 …to an MZ11 Soarer that looks straight out of the Bubble Period. 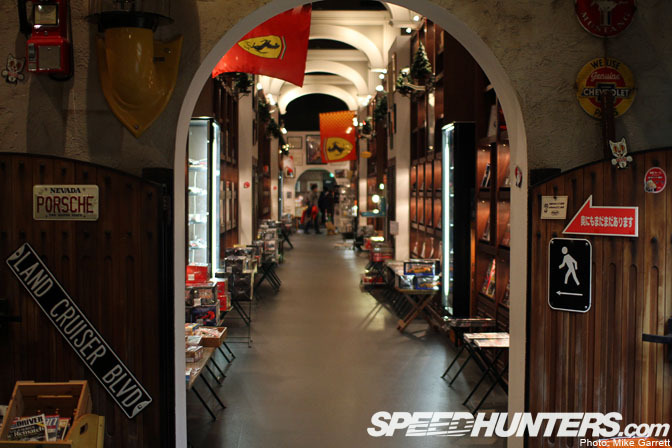 Finally, there's the big automobilia shop located inside the History Garage. 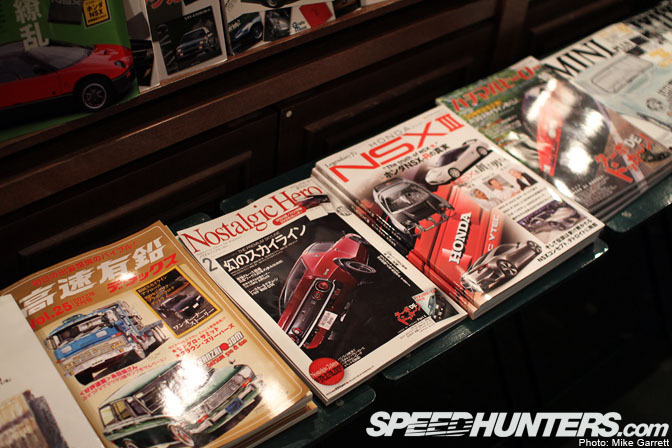 …or an issue of your favorite magazine. Even as a repeat visitor, Mega Web and the History Garage is always a great way to spend a couple hours geeking out on car stuff. If you ever find yourself in Tokyo with a couple hours to kill, be sure to hop on the train and head over. 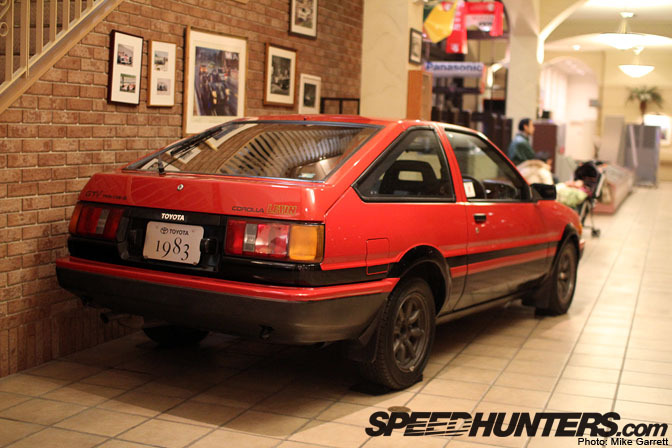 Speed hunters, why you no post pics of MR2s from toyota museum?! Awesome post. This will be a destination for my trip next year! 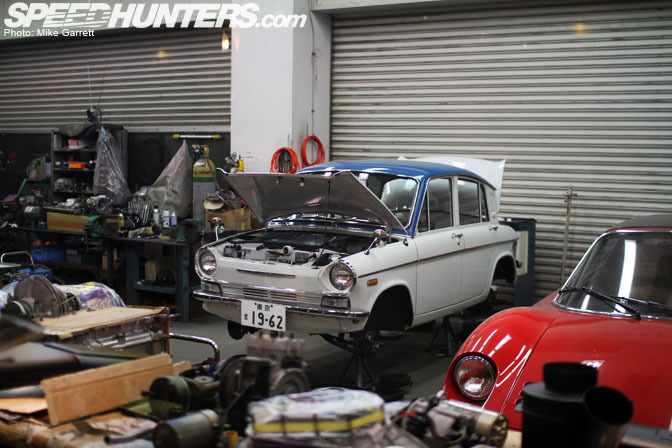 I'm heading to Tokyo next week, and as a massive toyota fan would have been unconsolable had I missed this! Thanks Mike!! OMG, I want to buy so much stuff at that store! 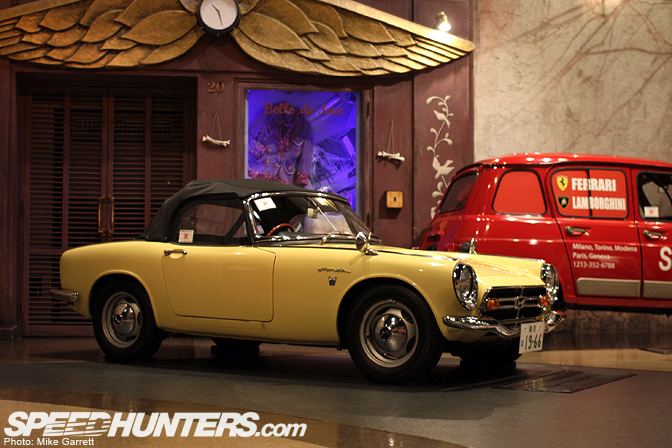 I went there to the main showroom. How the hell did I miss everything else? 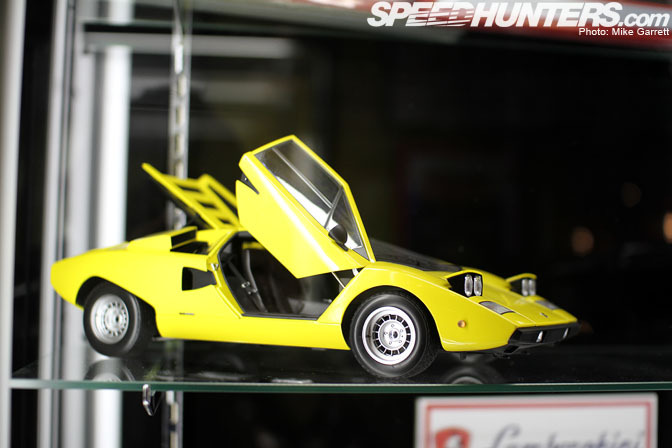 I had no idea the museum changed over their displays regularly... nor did I know their display cars were in working order! Will have to make time to stomp around Tokyo next time I head to Japan for some snowboarding instead of heading straight for the mountain (and then the airport on the way back). 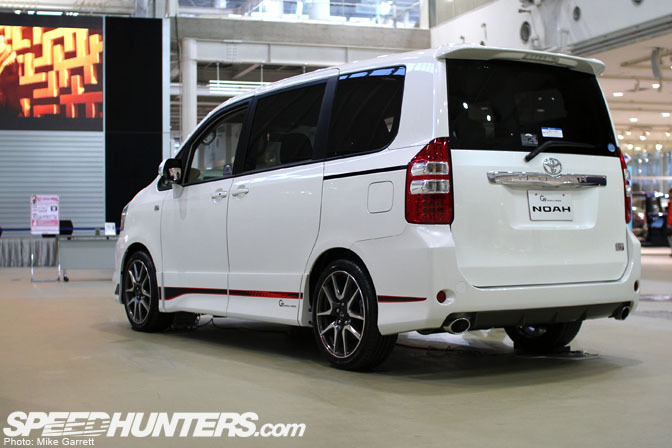 Thats why TOYOTA are number one these days. If you'll visit GM Museum you'll find some 50's cars with airplain engine, chrome and a lot o plastic. This is culture at large. Yeah, where were all the MR2's?? I was there last November and it looks like they've changed things up in the History Garage quite a bit. Glad to know they rotate cars in and out for my next trip. Fully Restored FJ40? So they actually leaked that much oil new? Good to know. Great coverage. Both the megaweb and history museum is great. been there twice!! 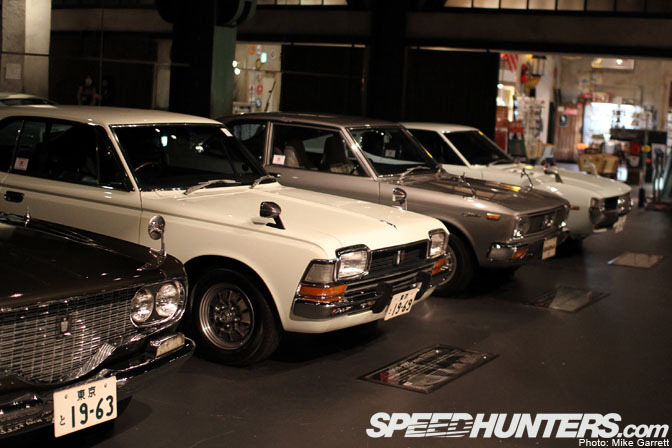 I would also recommend going to the nissan one as well in yokohama! 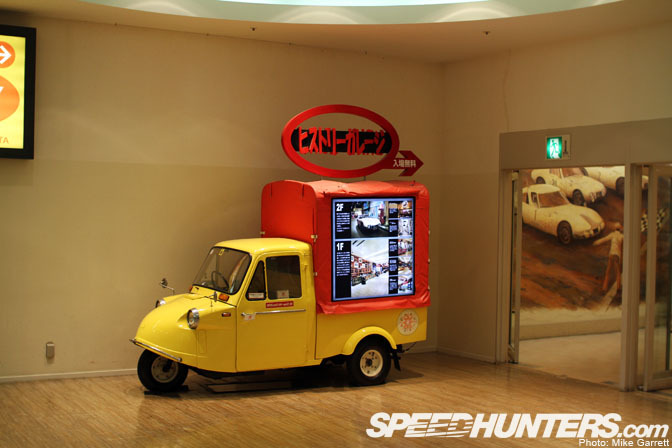 I know where I am going when I visit Japan!